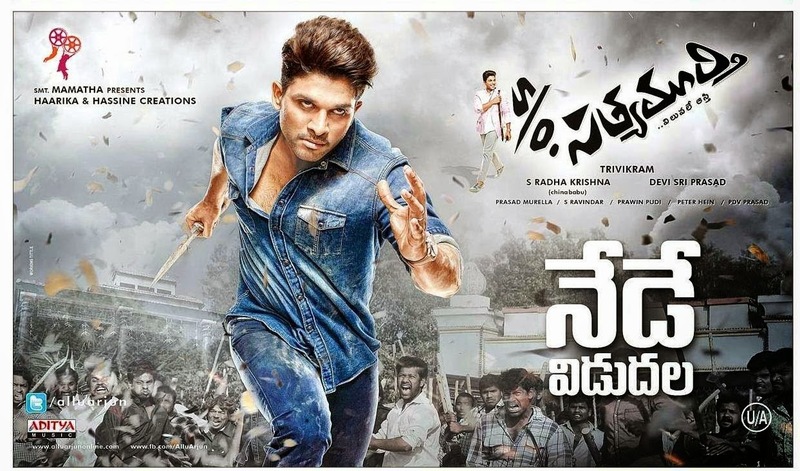 Allu Arjun (Viraj Anand) is the son of ​Europe’s ​rich​est​ business tycoon Satyamurthy(Prakash Raj). One fine day, Satyamurt​h​y ​​dies in a car accident​​ and Viraj is held responsible for ​all his fathers debts. Things take an ugly turn and Viraj heads back to India with his entire family. ​On his return to India, Viraj ​joins an event management company as a wedding planner. There, he is assigned the job of managing a high profile wedding. During the course of the wedding, he falls in love with Sameera(Samantha). Twist in the tale arises when Sameera’s dad(Rajendra Prasad) throws an open challenge to Viraj in order to marry his daughter. Rest of the story is as to how Viraj manages to accomplish this challenge and where does Nithya Menen, Upendra, Sneha and Adah Sharma fit in all this set up. Allu Arjun’s performance and his dance. Visuals shown in the songs. Director used beautiful story line but Screenplay moves with slow pace. Songs are misplaced and they disturb the flow of the movie.